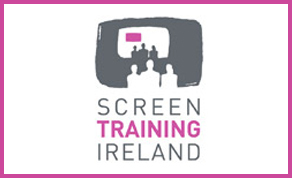 Screen Training Ireland has announced that the writers for the LA Writers Room placements have been chosen. The aim of the placements is to provide Irish writers with an opportunity to experience a US TV Writers Room. The selected writers are, award-winning writer and director for stage and screen, Carmel Winters (‘Float Like A Butterfly’, ‘Snap’); Pierce Ryan, screenwriter (‘Black 47’, ‘Standby’); Paul Walker, Showrunner/Writer (‘Red Rock’S4), Story Producer (‘River City’, ‘Red Rock’ S1). Paul is currently writing for the International drama series ‘Soldiers of Fortune’ and ‘Eastenders’. Taking place from October 25th to November 2nd the writers will participate in real ongoing writer’s rooms based in Los Angeles. Writers Rooms include, ‘Jupiter Legacy’ a Netflix Millarworld series with showrunner Steven S. DeKnight (‘Spartacus’, ‘Dredevil’, ‘Pacific Rim: Uprising’); Netflix/WBTV drama series ‘What If’ with showrunner Mike Kelley (‘Revenge’, ‘Swingtown’); and Warner Brothers ‘The Big Bang Theory’ with showrunner Steve Holland, Creator/Producer, Bill Prady and Writer/EP, Tara Hernandez. As part of the placements, the writers will attend mentorship meetings throughout the week, which include Liz Alper, Writer, ‘Chicago Fire’ (NBC), ‘Hawaii 5-0’ (CBS), ‘The Rookie’ (ABC); Hart Hanson, Showrunner/Creator, ‘Bones’, ‘Backstrom’, The Finder’ and more. “This unique opportunity allows Irish writers to experience first-hand how US Writers Rooms, run by some of the most successful Showrunners in the business, operate and to take a deep dive into the process of storytelling for US TV which they can then apply to their own projects”.